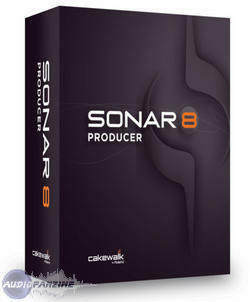 Cakewalk® Announces SONAR™ 8 Producer & SONAR 8 Studio. Cakewalk announces SONAR 8 Producer, and SONAR 8 Studio. Registered customers can pre-order upgrades to SONAR 8 now. SONAR 8 will begin shipping October 2nd 2008. The evolution of SONAR has introduced many advances in digital audio workstation technology with the first true 64-bit double precision audio mix engine; Active Controller Technology™ (ACT) which changed the way musicians work with instruments and effects; AudioSnap™, the very best non-destructive audio timing/manipulation toolset; Smart MIDI Tools, Roland® V-Vocal™ 1.5 VariPhrase technology; and pioneering support for multi-core processors, x64 processing, and Windows Vista. New SONAR features include: updated Loop Explorer 2.0 view, dedicated instrument track (single track optimized for mono/stereo virtual synths), Send Assign Assistant (wizard); numerous audio engine optimizations; transport, control surface, routing, and editing refinements; workflow enhancements; QuickTime 7 Import/Export. New Instruments include: Beatscape loop performance instrument; Dimension Pro 1.2 updated with Digital Sound Factory Volume 2 Classic Keys and Hollywood Edge Effects Library; TruePianos Amber VSTi Module. New Effects include: TL-64 Tube Leveler, TS-64 Transient Shaper, Channel Tools stereo enhancement plug-in; Native Instruments Guitar Rig 3 LE. New Creative content includes: updated ACT Presets mappings for popular plug-ins and controllers; production-ready Track Templates and Project Templates; updated Drum Maps and plug-in presets; and integrated Step Sequencer drum patterns. SONAR 8 Producer has a manufacturer's suggested retail price (MSRP) of $619 ($499 street) U.S., SONAR 8 Studio (MSRP) is $369 U.S. ($299 street). Registered SONAR 7 Producer customers can pre-order their upgrade to SONAR 8 Producer directly through Cakewalk for $179; SONAR 7 Studio to SONAR 8 Studio for $99. Other upgrade paths are available, visit Cakewalk.com for details. 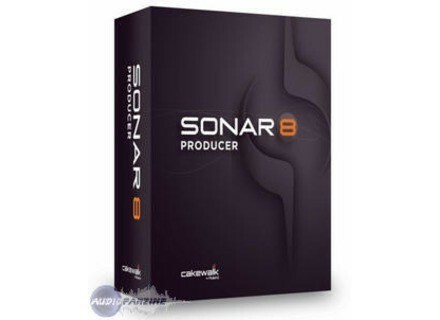 SONAR 8 Producer and Studio software is available in English, German, French, Spanish and Italian; English, German and French boxed versions come with printed documentation; Spanish and Italian electronic quick start guides contained in all versions. SONAR 8 is available through Roland and Edirol distribution partners. Europe's suggested street price for SONAR 8 Producer and SONAR 8 Studio are €499 and €299 RRP inc VAT respectively; UK pricing is £349 and 219 RRP inc VAT respectively; and will be available, October 2008. Upgrades are available from select music and sound retailers and directly from Cakewalk. Chris Hein Horns Vol. 1.5 - Solo Instruments Best Service products announced that the Chris Hein Horns Vol. 1.5 Solo Instruments collection is now a reality.